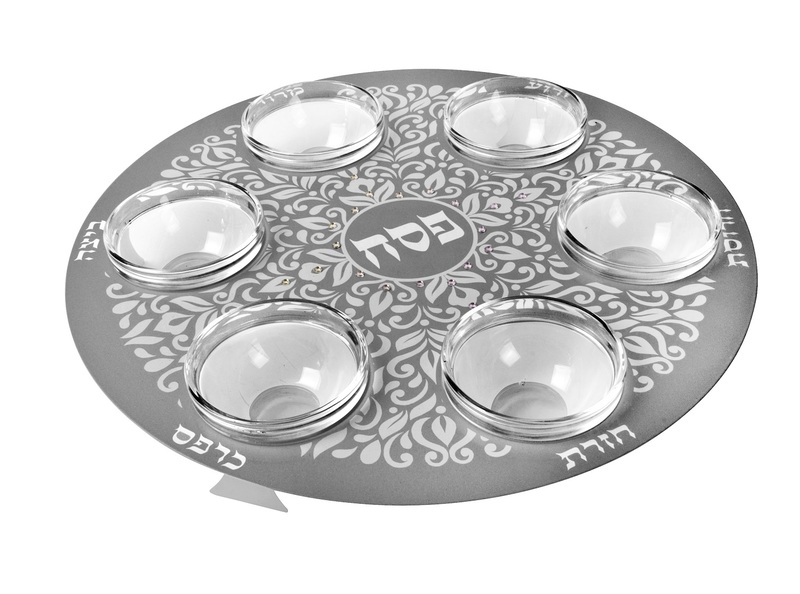 A lovely leafy stainless steel and glass bowls seder plate is a delightful way to decorate your passover seder table, complete with bowls for each symbolic food. 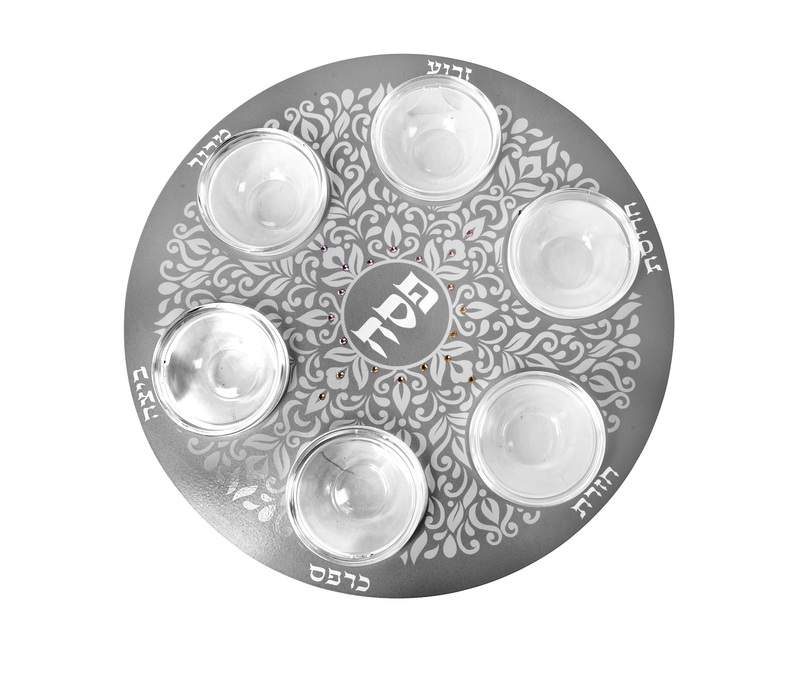 This delightful Seder plate is themed with a leafy pattern cut into the stainless steel of the plate. For each symbolic food there is a glass bowl and the name of the siman is cut into the plate next to it. In the center of the plate is the word Pesach, which is Passover in Hebrew.